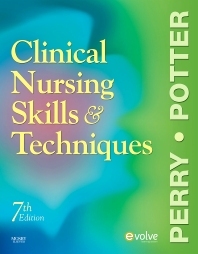 Written by the author team you trust, this market-leading text is known for its comprehensive coverage of over 200 nursing skills. It offers hundreds of full-color illustrations, a nursing process framework, and clear step-by-step instructions — with rationales for each step. Improved readability makes guidelines easier to follow, and coverage of many new skills keeps you completely current with nursing practice today. This market-leading book is written by the most respected team of authors and contributors in the profession. Over 1,200 vivid, full-color photographs and drawings aid understanding. Five-step nursing process provides a framework for description of skills, as related to overall client care. Unique! Critical decision points address key safety issues or possible skill modifications for specific patient needs. Unique! Unexpected outcomes and related interventions alert you to what might go wrong and how to appropriately intervene. Delegation principles discuss your responsibilities when assigning tasks to unlicensed assistive personnel. Guidelines for reporting and recording list what to document and include examples of proper wording. Cultural Considerations sections alert you to the care issues unique to people of specific cultural or ethnic backgrounds. Special considerations discuss variations in the needs of children, older adults, and home care patients, and help you provide appropriate patient education as mandated by the Joint Commission. Pediatric, geriatric, home care, and teaching considerations address specific patient needs. Critical thinking exercises challenge you to integrate information on patient assessment and care. 1. Using Evidence in Nursing Practice NEW!